The good students and alumni of Slytherin always get a pretty bad reputation. Sure many of the people who go to that house have turned to the dark side of magic and they were the ones responsible for the death of our dear Dumbledore but the fact of the matter is they deserve a little, nay, a lot more respect than what the rest of the houses give them (Especially those rotten Gryffindor people). Show your respect or just represent some of your house pride with this Slytherin Stocking Cap because green really is everyone's color. You can wear this on those chilly nights around the drafty castle or you could sport it at the next big quidditch match unless of course you're playing (what position is your favorite?) Just be sure not to get into too much trouble or at least don't get caught. 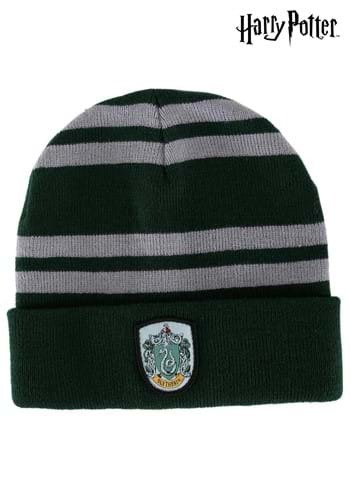 But if you do just remember to bring this hat when going through the forbidden forest during detention.